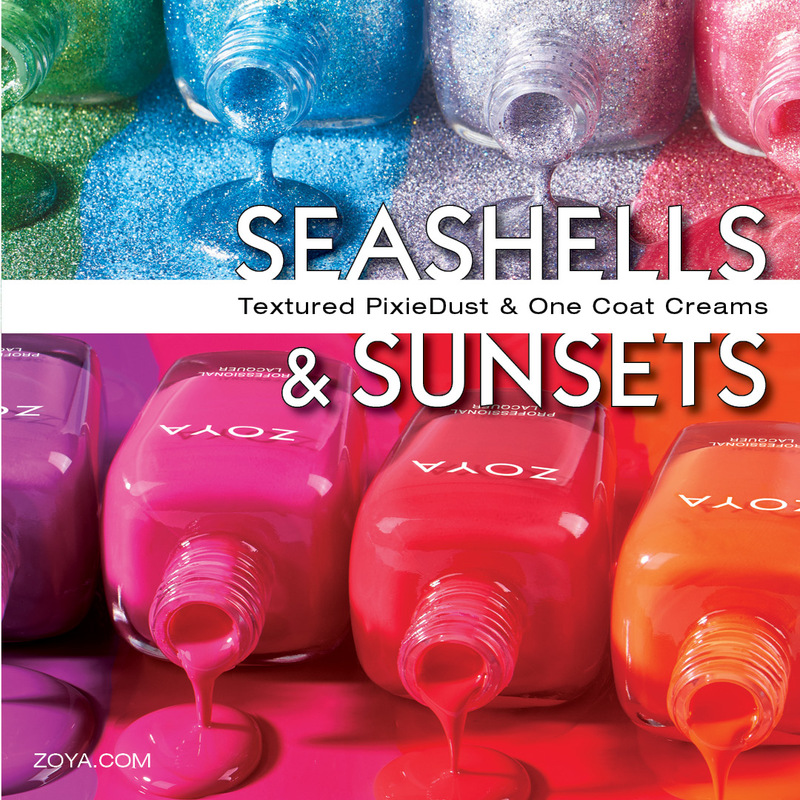 Never Enough Nails: Zoya Summer 2016 Seashells and Sunsets Available NOW! 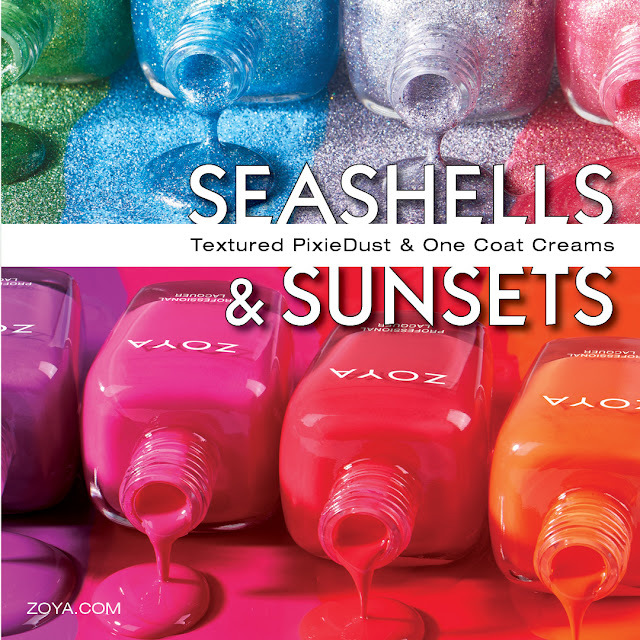 Zoya Summer 2016 Seashells and Sunsets Available NOW! 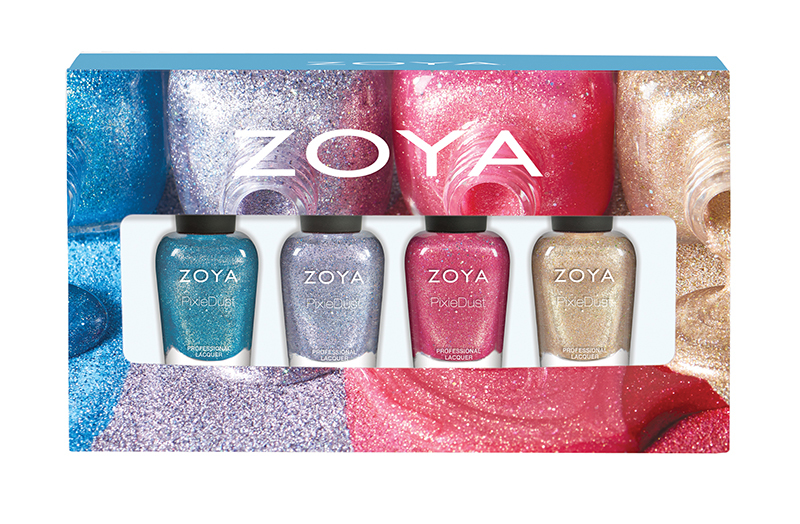 SEASHELLS: NEW Fresh from the shore... Six sparkling, textured Zoya PixieDust* ** colors. · Levi - ZP841: Beige gold textured PixieDust with medium holographic hexes. Designed to update a classic neutral pixie with a little more glam. · Linds - ZP842: Cherry red textured PixieDust with red and fuchsia glitter to mimic the look of maraschino cherries dipped in sugar. · Zooey - ZP843: Classic pink textured PixieDust laced with a fine thread of gold and medium sized holographic hexes for an added layer of dimension. · Cece - ZP844: Full impact green, textured PixieDust with a thin vein of gold creating a fizzy lemon-lime effect. · Bay - ZP845: Sky blue textured PixieDust with fine silver and gold glitter creating a dreamy effect. Reminiscent of cloud gazing on warm summer days! · Tilly - ZP846: Starry grey textured PixieDust with a small holographic glitter interwoven with a darker gunmetal. Perfect for hot nights out on the town! SEASHELLS 3QUAD GIFT SET – ZPSEASHELLSQUAD1603: Cute sand dollar graphic window box gift box set includes 0.25 oz. sizes of Zoya PixieDust in Levi, Linds and Tilly with a full size lipstick in Mellie. SEASHELLS FUN SIZE SAMPLER – ZPSEASHELLSQUAD160302: Four select 0.25 nail polish colors in a custom designed window box. Set includes Zoya Bay, Tilly, Zooey and Levi. · Cam - ZP847: Deep, fully saturated orange with a densely saturated, buttery smooth application. Rich and juicy like a ripe tangerine! · Dixie - ZP848: Juicy watermelon red with a densely saturated, buttery smooth application. A cool treat for hot summer days! · Brynn - ZP849: Popsicle pink with a densely saturated, buttery smooth application. The epitome of happy carefree color! · Liv - ZP850: Fun-filled purple that is seriously saturated and makes a statement! Great on any skin tone, with or without a tan. · Dory - ZP851: Vibrant cornflower blue with a densely saturated, buttery smooth application. Get ready to rock the waves! · Ness - ZP852: Softened jade green with a hint of blue to make it wearable for all skin tones. Reminiscent of sea glass found on your favorite beaches! SUNSETS QUAD GIFT SET – ZPSUNSETQUAD1604: Cute sand dollar graphic window box gift box set includes 0.25 oz. 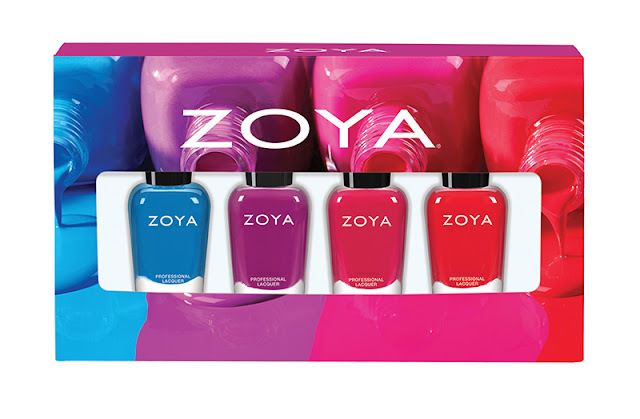 sizes of Zoya Nail Polish in Liv, Brynn and Dixie with a full size lipstick in Candy. SUNSETS FUN SIZE SAMPLER- ZPSUNSETQUAD160402: Four select 0.25 nail polish colors in a custom designed window box. Set includes Zoya Dory, Liv, Brynn and Dixie.